Are you having trouble figuring out where to get your next style inspiration for your closet of 9tailors suits and shirts? Lucky for you, we have compiled you a list of some of our favorite menswear bloggers for advice on your daily formal wear. Eliezar Infante of North of Man is the epitome of class. 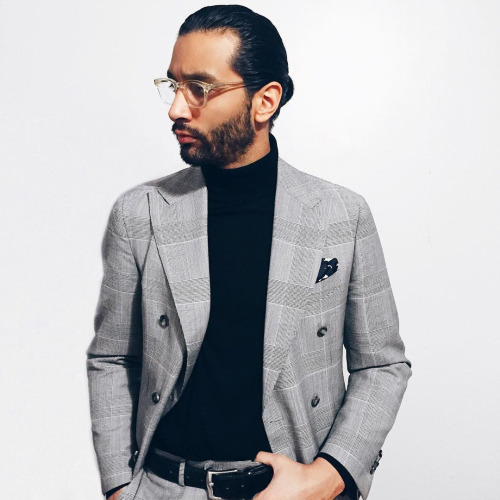 He runs a visually stimulating style blog for men “from all different walks of life.” Eliezar’s signature look is a suit outfit that he treats like a canvas, exploring a plethora of ways to style it. From different colors and prints to jewelry and accessories, Eliezar knows how to cater to those who want to experiment with new looks of masculinity. Are you someone who is on the borders between a look that is classic and another that is more modern? Well, look no further because Off the Cuff is a great resource for your wide range of tastes in menswear. Having won many awards for showcasing its breadth and knowledge in giving men style advice (there’s a category for custom tailored clothing! ), OtC is also never short on updating you insider lifestyle tips as well. Founded by two brothers Joshua Kissi and Travis Gumbs, Street Etiquette explores men’s style through an urban perspective. There is a colorful story for every eye-catching photo captured in their photo. Street Etiquette encourages readers to think about the backstory, the inspiration, behind what we choose to wear on a daily basis. Here is another pair of brothers to look out for on the style scene. The Sudarso brothers founded The Hobbyists with a goal to inspire their fellow readers to take fashion risks. What we love about them? Their knack at layering shirts and suits for modern day, casual wear. This list wouldn’t be complete without The Gentleman Blogger. 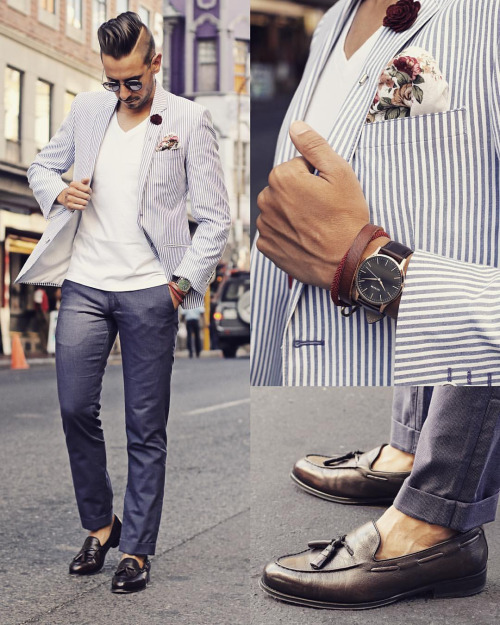 As the name suggests, this blog isn’t meant for those who take menswear fashion lightly. Founder Matthew Zorpas uses his blog as a platform in hopes that he will inspire readers to go on world adventures in style. Started out as an Instagram side project of a the blogger’s girlfriend, What My Boyfriend Wore eventually became an online sensation as a blog. If you are just starting out with figuring out what to wear, we recommend that you stop by our Instagram or this blog and read about how you can develop your personal style step by step. If you think there’s a blogger that’s worthy to mention in our future lists of favorites, let us know by commenting on our Facebook post or tweeting @9tailors on Twitter!